Request for Municipal Transfer Tax Stamp Purchase | Attorneys' Title Guaranty Fund, Inc. This feature works on computers (we recommend Internet Explorer or Google Chrome) but is not available on tablets or smartphones. IMPORTANT — Before you start, make sure macros is enabled in Microsoft Word. IF MACROS ARE DISABLED, THIS FORM WILL NOT FUNCTION PROPERLY. Select Disable all macros with notifiction (second option) or Enable all macros... (fourth option). See also How to Enable Macros - Microsoft Word. If you selected Disable all macros with notifiction in the Trust Center, you will be prompted to enable macros for this document. If macros are enabled, a menu requesting information for the transaction will pop up when the document is opened. Select the Open option and click OK. A folder containing the file will open. 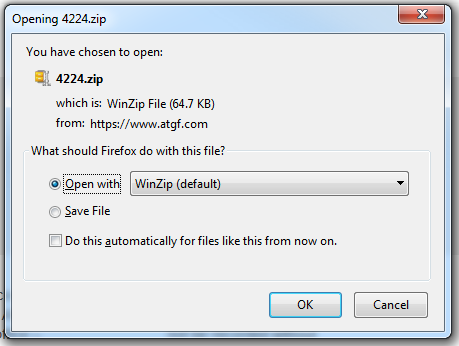 Right click the "4424.dotm" file in this Zip folder and click New or Open With > Microsoft Word to create a new document. DO NOT use the FILE > OPEN COMMAND IN WORD option. Fill out the form and follow the instructions at the bottom to submit.